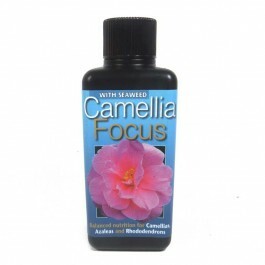 Liquid Feed for Azaleas and Camellias. 100ml bottle, NPK: 2.1-0.9-3.2. Balanced Nutrition for healthy plants and stunning flowers. 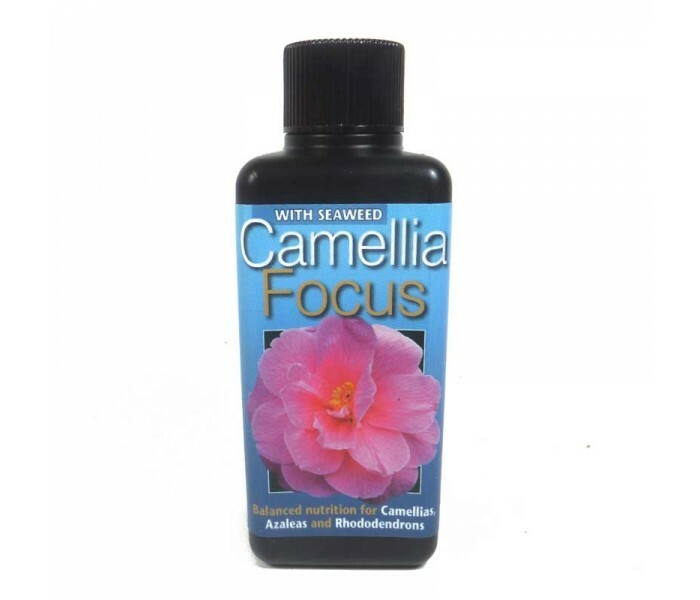 Camellia Focus Feed - 100ml. A precise formulation for optimal performance of Camellias, Azaleas and Rhododendrons in pots, or in the garden. Allows for healthy growth and stunning flowers. Manufactured from pure mineral salts and enriched with complex organic plant acids and kelp seaweed. Feed weekly from March to September and occasionally during winter. Contents make up to 20 litres of diluted feed.